Bob Brewer looks at the history and evolution of lager, the most popular beer style on the planet. Many of us who inhabit the craft corner of today’s American brewing industry, myself included, have at times tended to dismiss the vastly greater and hugely popular pale lager style of beer. 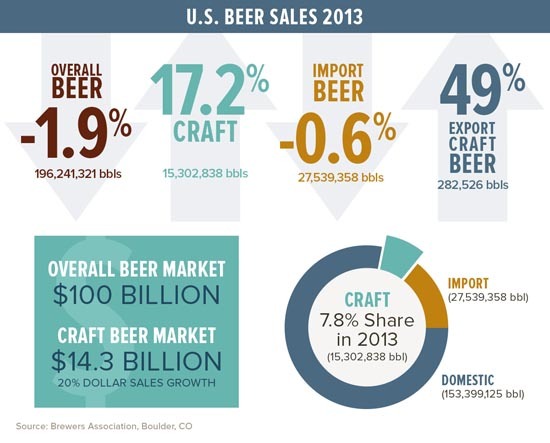 As of early 2014, the craft segment as a whole is somewhat less than 10% of the total U.S. beer market by volume. This number varies depending on the definition of “craft,” which is continuing to evolve, but more to the point, craft beer is a small but rapidly expanding percentage of the total. Craft is growing by approximately 20% each year, with some breweries posting 50% or greater increases. With this rate of growth, many small breweries are now looking beyond the old concept of making all ales and are beginning to embrace lagers as a method of sustaining their growth. Why the change? Well, it’s because lager is the most popular beer on the planet. Lager beers originated in Northern Europe, in what is now Germany and Austria. Historically, all beers were fermented with one particular strain of yeast – with a few variations. This yeast, Saccharomyces Cerevisiae, has been used in beer fermenting for literally thousands of years. Sometimes referred to as a “top-fermenting” yeast, Cerevisiae ferments warm and relatively quickly, produces an estery quality to the beer, and creates what we refer to as “ale”. Lager beers are fermented with a different – although closely related – yeast. 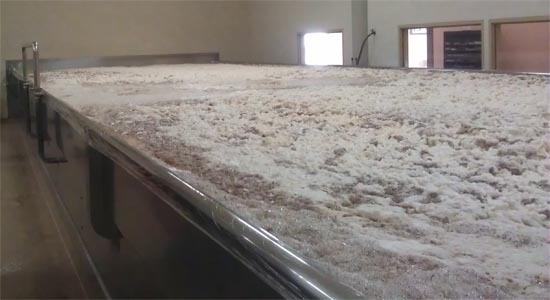 This yeast strain, Saccharomyces Pastorianus, works at a much slower rate at cooler temperatures, and is referred to as a “bottom-fermenting.” Cool fermentation in caves and cellars dates back to the middle ages. During that period, beer could only be brewed in the cooler months of the year, typically September through May, and was fermented and stored in as cool an environment as could be found. The old train of thought was that Cerevisiae gradually evolved into Pastorianus over the centuries as it adapted to this environment. In any event, sometime in 1500s, German brewers had a new yeast to work with that was ideally suited to cool fermentation and aging. But where did this new yeast really come from? The concept of slow mutation didn’t quite work because the strain made a relatively sudden appearance. It had been known that Cerevisiae was one parent strain of Pastorianus, but what was the other one? No one was really sure – until recently, that is. A study published in the journal Proceedings of the National Academy of Sciences of the United States of America on August 22, 2011 identifies the other parent strain of Pastorianus as Saccharomyces Eubayanus. Eubayanus is native to, of all places, the Patagonia region of Argentina. 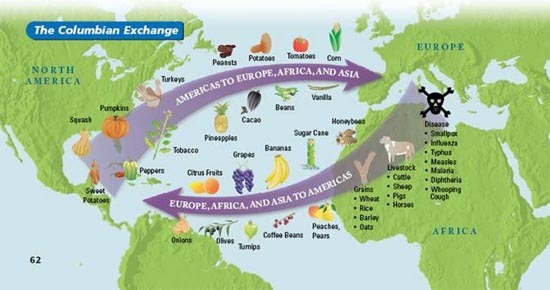 There have been studies of the history of the “Columbian Exchange,” whereby Europeans brought disease, religion, slavery, alcohol, and colonialism to the new world in exchange for treasure, tobacco, cocaine, maize, and potatoes, among other things. The timeline for Eubaynus to hitch a ride back across the Atlantic in the mid 1500s to get friendly with Cerevasiae fits, and as with other exchanges, the Europeans got the better part of the bargain. Gabriel Sedlmayr of Spaten Brewery. Source: munichbeergardens.com. Moving right along here, we find that by the mid-19th century the early versions of lager in Germany were gradually evolving from primarily dark beers to paler brews, although dark lagers survive to this day. 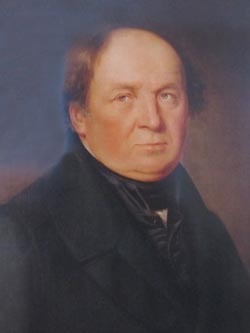 Two brewers of the era, Gabriel Sedlmayr of Spaten Brewery in Munich, Germany and his pal Anton Dreher of Austria, are widely credited with starting the shift to pale lagers in Europe. During that period there was also a major migration of Germans and other Northern Europeans to America. It should be noted here that Germanic emigrants as a whole were arguably the most successful ethnic group in America at that time. 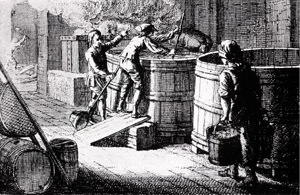 They established cities, schools, industries, and maintained much of their cultural roots for generations, and among their industries and culture was, of course, beer and brewing. Even the most casual perusal of brewing history in America turns up German names at every glance – many of them still familiar today. And not just America. The German diaspora of the 19th century, of which my ancestors were a part, also took brewing to Mexico, South America, and even China. And what were they brewing? Lager. Being an organized and industrious lot, Germans built major industries. They organized cold transportation for their products, modernized their production techniques, and developed the first practical mechanical refrigeration plants – all for lager. Refrigeration was the big one here. It made year-round brewing a practical reality. Ice production made cold rail transport possible in an age preceding refrigerated rail cars. Lager from the large breweries in the Midwest could be shipped to the South. West coast breweries shipped east. Lager was the beer of the day. An early refrigerator car design. Hatches in the roof provided access to the ice tanks at each end. Source: wikipedia.org. The availability of transportation brought about a homogenization of styles as regional breweries were able to compete outside of their home markets. Smaller regional breweries still had a bit of local loyalty, but the beer was mostly all the same. When prohibition came about it actually benefitted the larger breweries in the end, partly because they were better able to wait it out with their size and resources, allowing them to diversify. The small regionals didn’t fare as well. 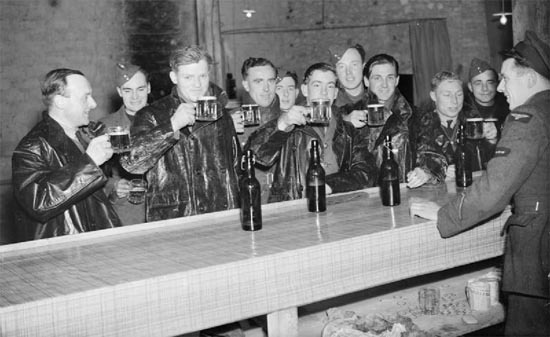 WWII sealed the deal for lager brewery operations. Young men from all over the country were thrown together and drank whatever was available, wherever they were sent, and in virtually all locales, that meant pale American lager. There were still a few dark beers around, but with the prevailing anti-German sentiments of the day, they were not popular. The post-war rise of broadcast media and national advertising, particularly when associated with the airing of sports, expanded the reach of the largest breweries and led to the first truly national beer brands – all pale lagers. Remember those Germans who went elsewhere? 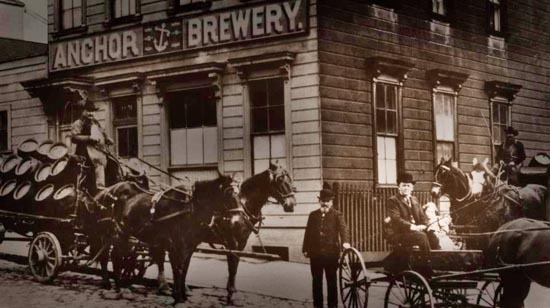 Their descendants are still there making lager. We all know that Latin America saw a surge of Germans and Austrians coming over in the late 40’s and early 50’s. They, too, were lager drinkers. Today, the greater part of brewing tradition in all of Latin America comes from Germans. They import German brewmasters. Likewise in Asia. Even the former British colonies around the world have adopted lager and German-style brewing. So, where does this get us? The short answer is that by 1970, about 100 years after German brewers conquered the American beer palate, the entire world was drinking some sort of pale lager. Okay, there were a few exceptions, notably Britain and Belgium and Irish stout, but for the greater part it was the whole world. When I first visited England in 1987, I expected to find a culture of traditional ale drinkers because I had been brainwashed into thinking (quite wrongly so, and by visiting Brits) that American lager was piss and everything beer-wise in Britain was vastly superior. What I found instead was a nation of mostly lager drinkers with a few traditionalists and a shrill and highly vocal small minority of consumers who sat around and bemoaned the demise of warm, flat, possibly infected “real ale.” To be fair, their organization, CAMRA – or “Campaign for Real Ale” – was a successful preservationist movement that inspired the first generation of American microbrewers, but that’s another subject. The fact was that in 1987 the bulk of the beer being consumed in England was lager. When I went to Belgium a few years later to experience what I had been assured was absolute beer Nirvana, I was similarly disappointed. The Belgians, at least, had all of their wonderful beers readily available in bottles wherever I went. They didn’t cry about the loss of tradition, but they were still mostly drinking lagers like Stella, Palm, or Jupiler. At least they were using fancy glassware. The French were drinking mostly Belgian-brewed lager. My visit to Europe last year bore out my earlier impressions, but with a bit of hope for variety shone by a small but noticeable interest in American craft beer. Circling back to the beginning of my ramblings here, the craft beer segment is growing at a blistering pace. American craft is a big success story, born out of a sort of rebellion against the mega-breweries and their products that is still evolving. The first craft breweries had a hard time getting the word out. I know, I was there and it wasn’t easy to bring people around. That’s all changed now, but there is still major competition for the craft consumer’s loyalties, and the reality is that it’s a big leap from light beer to IPA. Too big a leap for most. With the exception of Anchor Steam Beer, the vast majority of craft beers being brewed today are ales, many of them so hop-forward that they can be a real challenge for all but few consumers. Ale is much easier to produce than lager in that it takes a lot less time. Time is money after all. Ale can also be quite forgiving in other ways since the traditionally stronger flavors and higher hop rates can mask otherwise heavy-handed brewing. Lager brewing takes a lighter touch, more time, and more attention to detail throughout the entire process, which can be difficult for smaller breweries that are set up to be ale-specific. While ales definitely have their place, lager is becoming an increasingly more important part of the craft lineup, positioned as a style that can attract a greater number of consumers, which allows smaller brewers to better compete with mega-breweries. 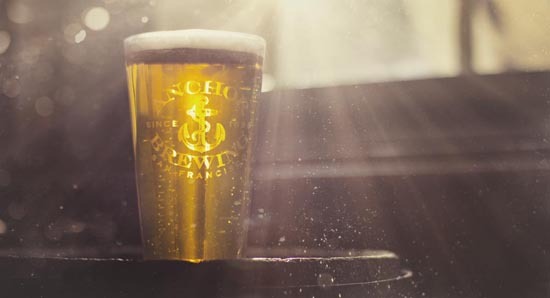 Here at Anchor Brewing Company, we have been brewing craft lager all along. As mentioned, Anchor Steam Beer is a lager. It is, however produced using an historical method of open fermentation that was pioneered during the California gold rush, and continued by us today as part of our brewing tradition. We brew several classic ales as well, and in keeping with our historical roots, we continue to research classical brewing styles. In that spirit we produced a lager beer that was inspired by the very first German-style lager brewery in California. Originally a limited release as the first beer in our Zymaster series, Anchor California Lager proved to be so popular that it became part of our full-time line up in February of 2013. Within a year it had become one of our best sellers behind our flagship Anchor Steam Beer. After all, lager is the most popular beer on the planet. Interesting article since from my perspective I never liked beer, which for me meant mega brand lagers, until I moved to San Francisco from the East Coast 12 years ago. Around that time, I should mention I was 40 y.o., a friend said try this, it’s called “steam” beer: one sip and I was hooked! Didn’t realize it was lager till later but, what the hey, that was the beginning of my adventure with craft brews, including trying my hand at the craft. Suffice to say that I went through the super hopped ales phase and to my very own surprise recently decided I needed break. Well wouldn’t you know my favorite brew retailer had your California Lager on hand in those eye catching red cans. Well, to come full circle: one sip and I was, that is, am hooked on (craft) lagers! Thanks for the informative article and great brews! Great piece. Thank you for carrying the tradition of making superb craft beer.